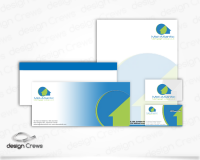 Business stationery designs with complete professional look will add a lot to your products promotional plan. Good organizations never go beyond their budget and keeping in view cost effectiveness as integral entity of business, they prefer design business cards. Furthermore, invitation designs for any of your business events must be powerful enough to make your business or products/services known to your customers and visitors. Business invitation cards must not be overlooked if you eagerly desire for an official event to be remembered by people for long.